The Normandy takes its name from the Normandie ocean liner and was built in 1938. 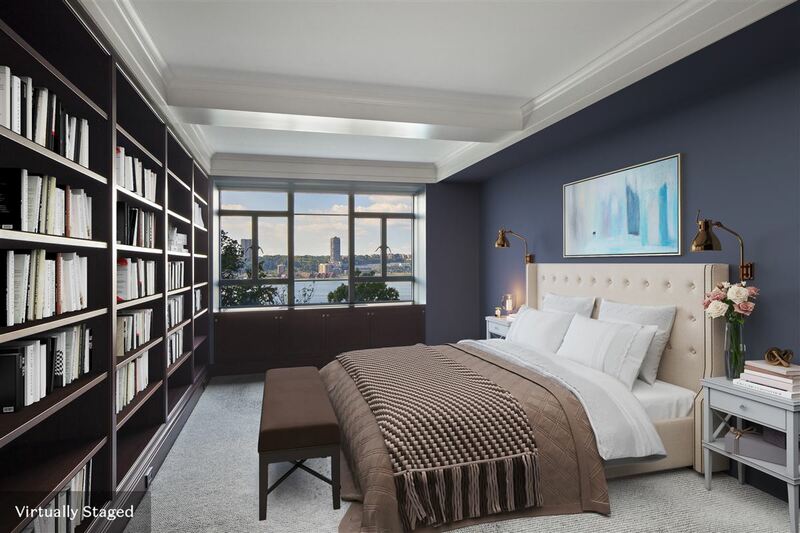 It is one of the premier full-service cooperatives along New York City’s Riverside Drive. 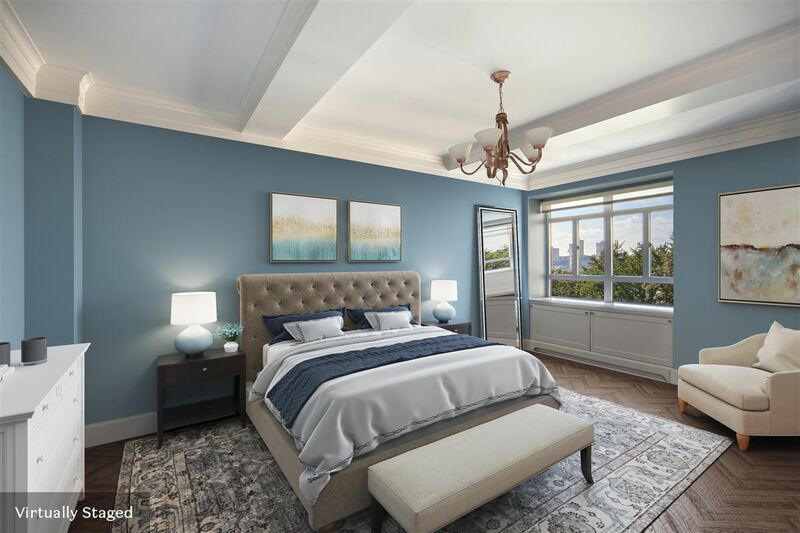 Situated along the Hudson River and spanning a full block, from 86th to 87th Street, the Normandy has a variety of amenities, including a fitness room, children’s playroom, bike storage, and a roof deck. 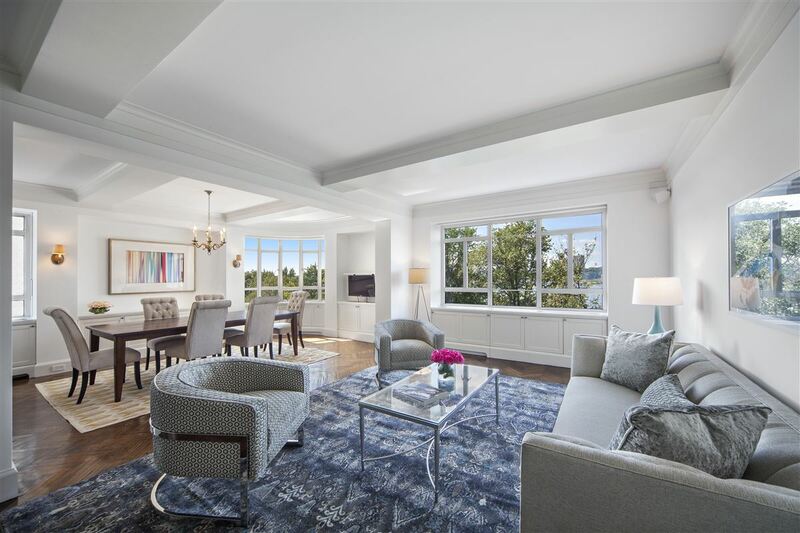 With picturesque direct views of the Hudson River and Riverside Park, this grand light-filled and spacious four-bedroom home with two full and two half bathrooms is perfectly positioned on the 6th and 7th floors of this Art-Deco treasure designed by iconic architect Emery Roth. Combined and renovated by architect Armand LeGardeur with the addition of a spectacular circular staircase, this home is very convenient to the needs of modern day living while retaining and preserving the early 20th century details and scale that are so appealing. Abundant natural light throughout the day followed by stunning evening sunsets and an illuminated night skyline across the river contribute to the allure of this architectural gem. 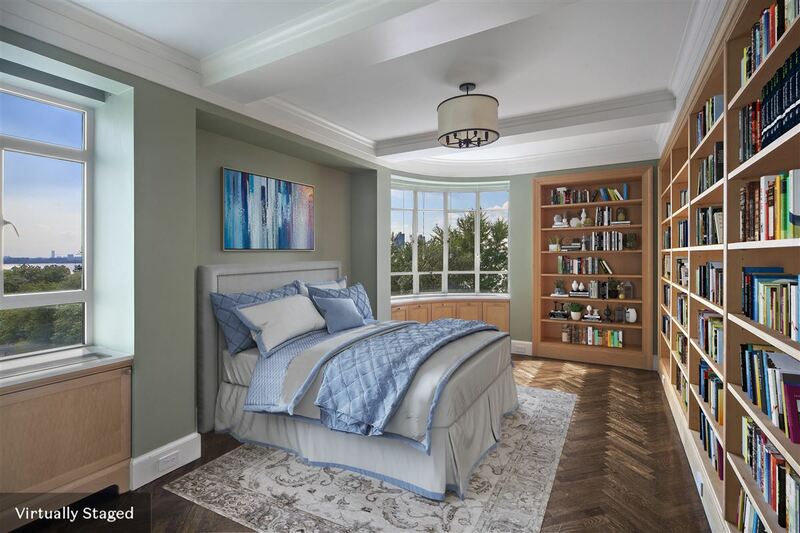 Upon entering the gracious foyer, you will discover on your right a grand, sweeping circular staircase inviting you to the upper floor, as captivating river and park views through west-facing picture windows, draw you into the expansive open living and dining rooms. 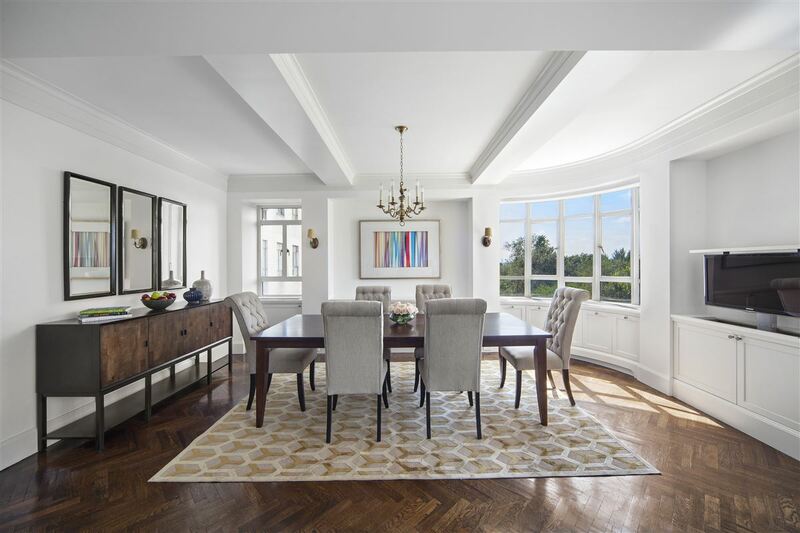 The dining room boasts a curved window, capturing views of the Hudson River and Riverside Drive along with western and southern light. 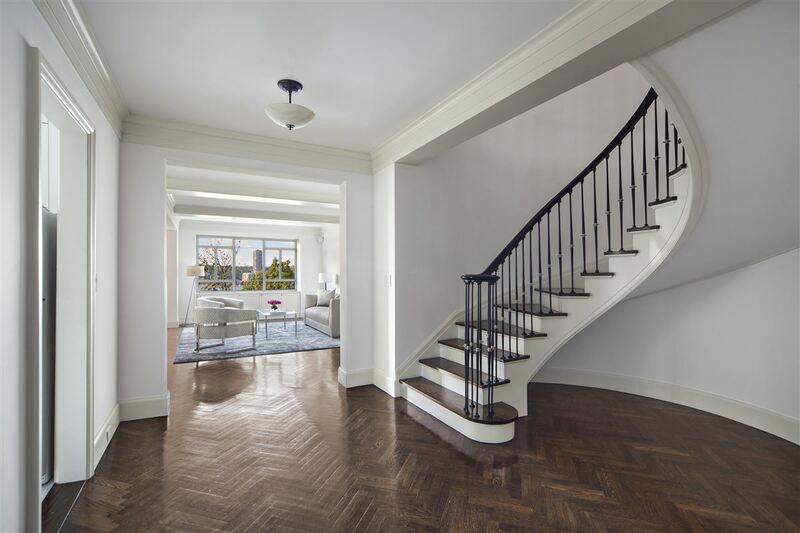 You will immediately notice the beautifully preserved prewar details and scale of this home, including refinished solid oak herringbone flooring, elegant moldings, high-beamed ceilings and generously proportioned rooms. The bright and cheery windowed galley kitchen abuts a separate pantry area for extra storage. There is a generous bedroom off the foyer with direct park and river views and an en-suite bathroom, perfect as a guest room and/or office. As you make your way up the grand circular staircase, you are welcomed by a generous landing that leads to adjacent bedrooms with direct river views, to your right, and a third bedroom, to your left, also with direct river views and an en-suite bathroom. This floor features a separate entrance to the 7th-floor hallway, a mini-kitchen and a sound room; allowing the musically inclined freedom to practice at any hour. The apartment also features abundant custom closets and storage throughout, a windowed powder room on each floor and windows in every room. 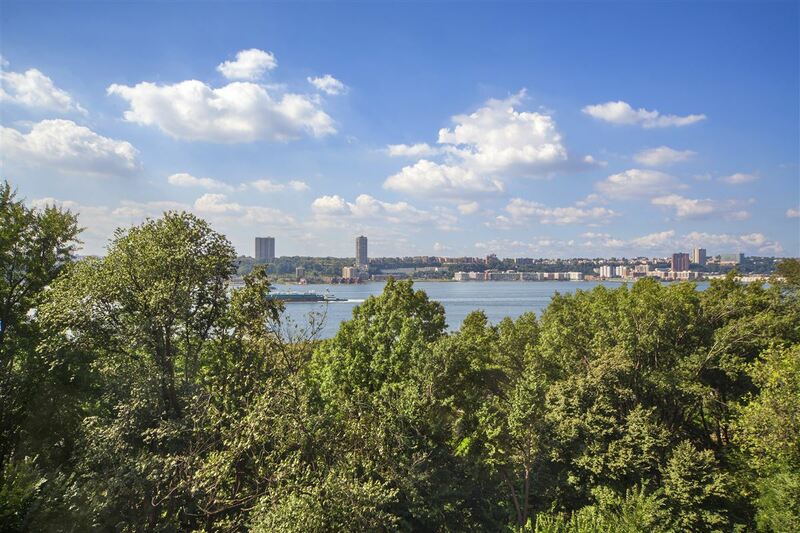 It is listed for $4.195 million with Halstead Real Estate, an affiliate of Luxury Portfolio International®.